In the laboratory, on the shop floor or in the field, Solartron Metrology’s products provide precise linear measurements for quality control, test and measurement and machine control. 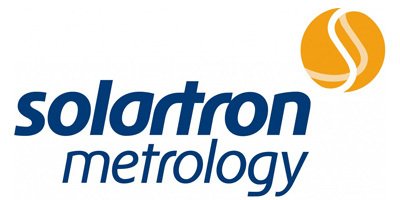 Solartron Metrology is a world leader in the innovation, design and manufacture of precision digital and analogue dimensional LVDT gauging probes, displacement sensors, optical linear encoders and associated instrumentation. Headquartered in the UK, with sales offices in the Americas, Europe and Asia, and distributors in over 30 countries worldwide, around 90% of our production is exported. In the lab, on the shop floor or in the field, Solartron Metrology products provide precise linear measurements for quality control, Test and Measurement and machine control in, for example, the Automotive, electronics, Aerospace, materials, optics and semiconductor industries… anywhere, in fact where accuracy and consistency are critical to the process. The inherent reliability of Solartron Metrology measurement technologies reduces the cost of ownership, a big factor for many users. As mechanical components become smaller and more intricate, the accuracy of their manufacture is an increasingly complex challenge. Our latest smaller, more adaptable gauging products, including flexure, Lever and Mini probes, and Block Gauges are designed to address these problems. We also have a new range of Displacement Transducers, the S-Series, engineered to interface with modern data acquisition and control systems. The inherent simplicity and flexibility of the company’s Orbit® Network system makes it the perfect platform for all these new measuring devices plus, of course, others in the pipeline. Rest assured that wherever you are, whatever your application, we have the technology, the commitment and the resources to help you make it better.